Just in time for Earth Day! Come ride with us and go green! On this ride we will learn about community gardening, biking’s impact on the environment, and what Smart Columbus is all about. Spring is right around the corner! Let's get out and see some animals in the wild of Columbus. We will visit locations in the city with artistic expressions of animals; an Art Animal Safari, if you will. Preparing for Winter Riding will help you continue to ride through the worst weather that Ohio has to offer. We will show you how to dress yourself on the cheap with finds at Volunteers of America, how you can save money by fixing your bike yourself at Third Hand Co-Op Bicycles and then visit Paradise Garage Bicycles where they will give us the skinny on the latest and greatest for winter riding. 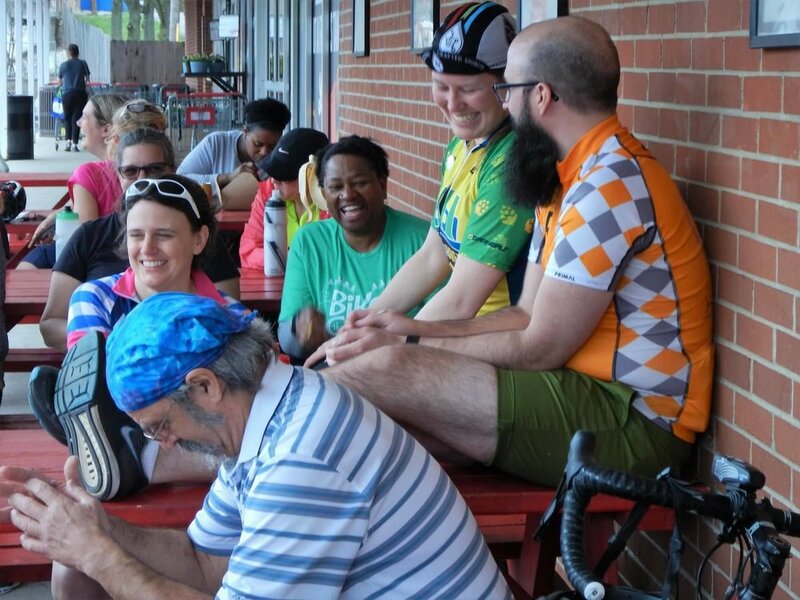 Hang out at Lucky's Market after the ride, eat some yummy food, have a cup of hot coffee or drink a beer and we will swap ideas and tips for winter riding! This month Vonjia Shannon will be taking us on a VETERANS–themed ride. We'll visit the brand new National Veterans Memorial and Museum, see an exhibit featuring artists from the Ohio Department of Veterans Services at the Riffe Gallery., and before the ride comes to an end, we will stop by the Military Veterans Resource Center, where we will have the opportunity to donate canned goods or unopened boxed foods, for those in need. Yay you! Yay Bikes! Yay Veterans! Stay tuned for our route! First up is the origination of our ride’s theme—LR Design+Build, a local design, engineering and fabrication firm that creates installations for Ripley’s “Believe It Or Not” attractions and more. Then we’ll head to CBUS Lifting Co., where we’ll learn about the powerlifting community in Columbus. Route details are still being finalized. Stay tuned! This month, ride leader Taryn Wilson will be taking us on an Art–inspired ride. First, we will be head towards the downtown area, to stop briefly at the Columbus Museum of Art. Right next door, is The Columbus College of Art and Design's Acock Gallery, where we will do a self guided tour, to expand our minds in the most Artsy way. Last but certainly not least, we will tour down to the west side of Columbus to Glass Axis, where we have a opportunity to observe a glass blowing workshop, check out the gift shop, and learn about so pretty cool exhibits and class their studio has to offer. We are looking forward to riding with you Saturday. Yay You! Yay Bikes! Yay Art! This month, ride leader Kaitlin Clark will be taking us on a RADIO–inspired ride. First we stop to learn a little about one of Columbus' public media stations, WOSU and receive a presentation about WOSU TV from Yay Bikes! member Mary Rathke. Next, we will head to the opposite side of High Street to spend sometime at CD102.5, where we will have a opportunity to enjoy some amazing treats and beverages while learning about what their station provides to its supporting communities. The DRAFT route is here. Feel free to bring an empty water bottle with you, to take a iced coffee or tea back on the road. Did I mention, they ARE DELICIOUS! This month, ride leader Taryn Wilson will be taking us on a FLOWER POWER–inspired ride. First we stop to smell the roses at the beautiful Park of Roses, then head to Oakland Park Nursery to check out their biggest sale of the year, and finally we travel through the grounds of the Franklin Park checking out the grounds of Franklin Park Conservatory. The DRAFT route is here. Yay Bikes! Yay Flowers! Yay You! This month Kathleen O’Dowd, along with her co-leader Craig Clark, will be taking us on a SIMPLE LIVING–inspired ride. Our second stop takes us to Simply Living, a community organization that celebrates and connects people to learning opportunities that promote community sustainability, environmental awareness and our local economy. Year of Yay! Bike Bingo! Each 2018 Year of Yay! Ride this season will be lead by a female, and B-I-N-G-O! I'm the lucky lady for April (get it?). Hi! I'm Marie Rineveld (www.facebook.com/marie.rineveld). Looking for a casual stroll learning how to ride safely for transportation and pleasure on Columbus city streets, but nervous to try it alone? Haven't been on a bike in a bit and looking to Pass Go and Collect $200? We can get you back in the game! Roll with us on this "C-pace" (8-10 mph), everyone welcome ride, co-lead by the kind, and fearless Ride with GPS guru, Nicolas Binger. 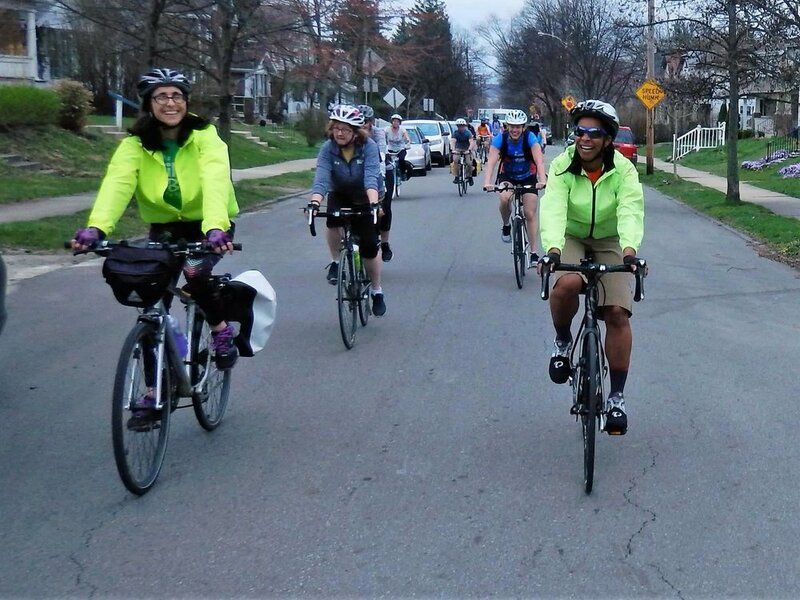 We'll take a break mid-ride for fun and merriment to visit with female-owned and operated Kingmakers in the Short North, because nothing brings people together like board games, except maybe bicycles! Kingmakers provides a open concept atmosphere for gathering with friends, family, and perhaps new friends to partake in the latest and greatest board games that you may not even know existed. Yay Bikes! BINGO riders will be treated to our very own game of Bicycle Bingo, and help show you why everyone's a winner when bikes and community are involved. NOTE: Your first ride with Yay Bikes is completely FREE (consider it our BINGO gift to you). Members are also free. Please sign up in advance here so that we can plan for a safe group size accordingly. Helmets, properly inflated tires, and any additional riding accoutrements are requested to ensure we have a safe and enjoyable group experience. If you have questions or need help, please feel free to reach out to me prior to ride day, or come a bit early to Lucky’s Market for assistance. You are welcome here! Riders must register in advance, so that we can plan our leads/sweeps accordingly. When you arrive see the person with the clipboard to check in and secure your space. Every rider gets a commemorative Year of Yay! BINGO button. March's ride leader: Bertie Ford! This month we'll be visiting Columbus' hidden treasures....urban wineries! Our first stop is Camelot Cellars Winery, which is owned by Janine Aquino, a fourth-generation wine professional. Originally located in the Short North, now it makes its home in Old Towne East. We will experience tastings and receive an overview of what Camelot has to offer. Next we head to Signature Wines, which is really hidden in the east Columbus area. This winery specializes in traditional small scale wine making and the largest selection of personalized wine in Ohio. Kelly Harvey, the founder, passed away in 2016, but the winery continues to honor her memory with excellent wines. Lastly we head to Brothers Drake Meadery, whose specialty is meads, which feature honey as their sugar source. Love the vision and mission of this winery: "Opportunity matters...we're all better off when we're all better off." The route of our map is HERE. As wineries can't give wine away, and we don't want to take up a lot of time buying tastings separately, I will purchase the wine tastings to be ready ahead of time so we can enjoy the presentations and return in a timely fashion. Don't forget to dress warmly and bring helmets, water and SNACKS for the trip. 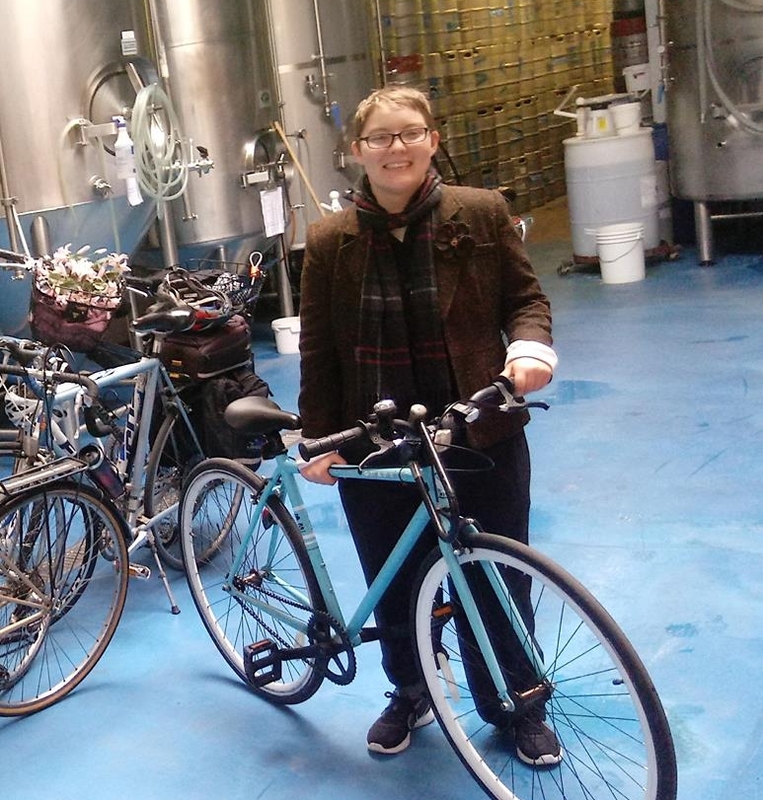 February's ride leader: Sarah Riegel! Stop #1: Columbus Blue Jackets' Winter Park! 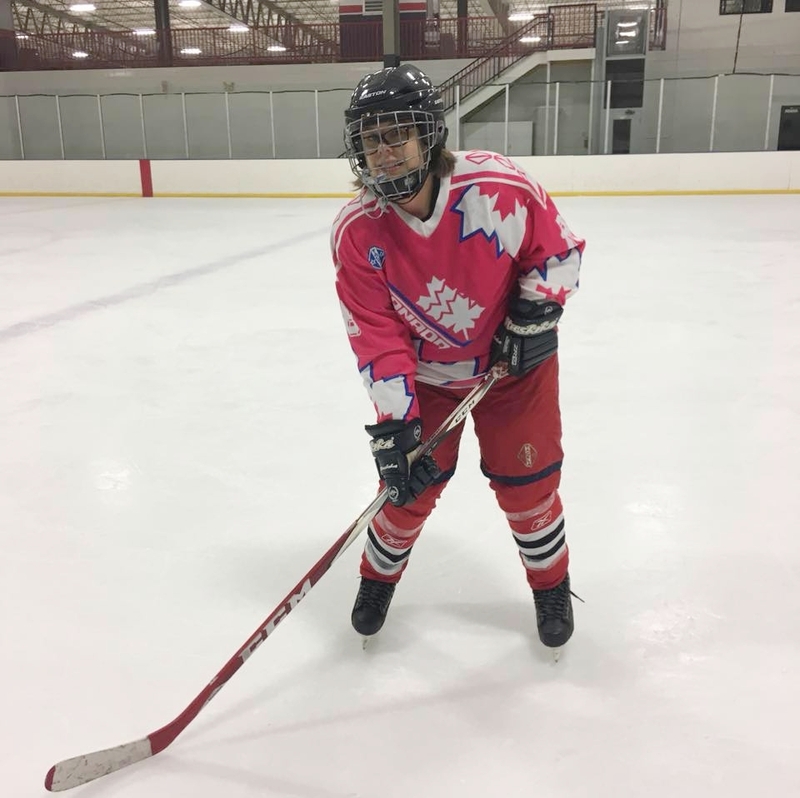 Here we'll learn about the fun planned for Winter Park in the Arena District this February, and hear about how the Columbus Ice Hockey Club is making the sport accessible to all our local youth. Stop #2: Columbus Curling Club! Here we'll learn what the heck is curling, and about the club. Stop #3: We'll return to Lucky's Market and then those who are up for it can congregate with the group at Acre restaurant, which is practically next door! The new year has this month’s ride leader, Catherine Girves, thinking about stretching. This month we will discover ways to stretch our bodies, minds and civic involvement. Join us on this 4–10 mile (depending on weather) ride with three stops where we’ll discover the diverse types of films available at the Gateway Film Center, how easy it is to communicate with your state legislator from former legislative aide (and Yay Bikes! member) Erin Synk and some lovely stretches for cyclists from yoga instructor (and Yay Bikes member) Michele Waderker Winship. Year of Yay! is a series of 12 monthly bicycle tours that are FREE for members and first-time guests. Year of Yay! is being offered in 2017 through the generous support of the Whole Foods Market at Easton, where each ride will begin and end throughout the year. First-time riders and anyone with questions: join us 15 minutes early (9:45am) to learn the rules of the road and this ride! Get in the spirit of giving by supporting local crafters and locally owned businesses, and helping out those in need. Shopping opportunity! First we will stop at Celebrate Local, which sells products from over 300 Ohio artisans, small businesses and farmers, where we'll have the opportunity to sample some coffee and enjoy a treat while exploring the store. Bring cash for your holiday shopping! Giving opportunity! We'll then head to the Gillie Senior Center, where we can drop off cards and toiletries for the seniors who visit there. Bring toiletries for giving! This month, ride leader Alec Fleschner will take us to see and learn about BIRDS. Stop #1—The first stop will be at Inniswood Metro Gardens, where we will discuss the basics of birdwatching—what’s needed, when to do it, and how one can attract birds to their backyard. Stop #2—The second stop will be at the Hoover Dam Reservior, where we will talk about the bald eagles that live along the shore. Stop #3—The final stop will be at Blendon Woods Metro Park, where one of the naturalists will talk to us about the wild turkey population that lives in the area. Join us on a 19.4 mile bike to journey to Westerville and visit various shop that are perfect to bring your (potential) significant other to. Some stops include Heavenly Cup, Shirley's Gourmet Popcorn and much more! Sign up below to join this fun ride! is a series of 12 monthly bicycle tours that are FREE for members and first-time guests. Year of Yay! is being offered in 2017 through the generous support of the Whole Foods Market at Easton, where each ride will begin and end throughout the year. First-time riders and anyone with questions: join us 15 minutes early (9:45am) to learn the rules of the road and this ride! This months Year of Yay! ride has a strong focus on those who are not from our country, particularly people who have comethe United States in search of a better life. We will be visiting Global Mall, Masjid As-Salaamah Mosque, and Columbus Global Academy. Join us on the ride so you can take a look into their lives and how they are settling into America. This month our stop will be the Hoover Reservoir, which is managed by the City of Columbus Watershed department. The reservoir, which was created by the Hoover Dam, is used for multiple purposes: city water supply, fishing, and boating activities. We will get a short presentation from a Park Ranger about the history of this area and the many activities that it supports. We will also stop at Easton Water Fountain. August is famous for being a hot month, so bring plenty of water and prepare to have fun on this bike ride. Join the Year of Yay as we explore a farmers market that feature Jam & Jam—that is, jars of preserved fruit and live music! We will be visiting the Worthington Farmers Market in Old Worthington, which is open Saturdays from 8am-12pm year-round and moves indoors to The Shops at Worthington Place from November through April (FYI, they open at 9am during the winter). Tweet your favorite market photo to @WorthingtonFM! What to bring: Cash (though the market offers a debit/token system if you forget! ), plenty of water (it's likely to be hot this time of year! ), and your love of local food & music! This month we'll be hitting up Rocket Fizz Soda Pop & Candy Shop, Schmidt's Fudge Haus and Clown Cone & Confections. Free samples at each! Mmmmmm.......!!!!!! This month we'll be celebrating a Healthy Earth by helping our friends at FLOW (Friends of Lower Olentangy Watershed) plant 2,100 trees along the banks of the Olentangy River at the OSU Fawcett Center! At this one and only stop we will learn the important role trees play in river health and viability, and will have an opportunity to plant a few trees while we are there (don’t worry, the trees are small). FLOW is a non-profit organization that has been working to improve water quality in the lower Olentangy River watershed since August 1997. Their mission is “to keep the Olentangy River and its tributaries clean and safe for all to enjoy, through public education, volunteer activities, and coordination with local decision-makers.” Throughout the year, you can find FLOW volunteers busy planting trees, removing invasive species and cleaning up garbage that would otherwise end up in the river. IT'S TAKE 2 FOR THIS THEME (cancelled in Jan)! This month, ride leader David Curran leads us through a "Then and Now" of how we view alcohol as a community, by exploring several stops in Westerville—the birthplace of the prohibition movement! Prohibition was more than just the 18th Amendment to the Constitution and a 13-year ban on the manufacture and sale of alcohol in America. In Westerville, Ohio, it began much earlier and lasted for 127 years. Once nicknamed "The Dry Capital of the World", this city played a significant part in pro-temperance movement of the late 19th and early 20th century. We'll ride to Westerville via the Alum Creek Trail, to the Anti Saloon League Museum, which is now part of the Westerville Library. We'll meet the Local History Manager and learn a bit about the history of the city and the Anti-Saloon League. After a quick introduction to the museum you'll get a little time to look around. 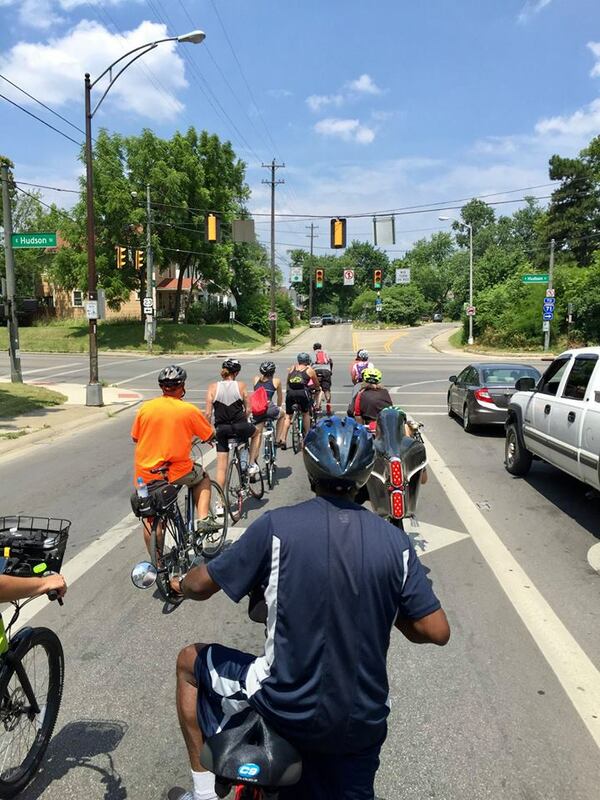 The ride will continue into downtown Westerville to see a few important locations and check out some examples of how dramatically things have changed since then. *New year, new rules! You must register in advance or plan to arrive early to register on-site. Year of Yay! is a series of 12 monthly bicycle tours that are FREE for members and first-time guests. Year of Yay! is being offered in 2016 through the generous support of the Whole Foods Market at Easton, where each ride will begin and end throughout the year. First-time riders and anyone with questions: join us 15 minutes early (9:45am) to learn the rules of the road and this ride! Ride leader Jen Cowley planned a little scavenger hunt to see who can find the most supplies necessary for survival in a Zombie Apocalypse. We'll be using the CDC preparedness guide and a checklist for participants to find what they need at each stop (Surplus World, Vance Outdoors & REI Easton) on our 9-mile route. Our new button artist is also our first member: Dylan Menges! RIDE CANCELLED DUE TO ICY CONDITIONS! We are calling today’s ride. We're not going to lie, this was a tough call. The perception predicted earlier moved south, but the stuff that’s coming looks like it will hit mid ride and it is going to be sleet. Don’t worry, we will ride this ride this year. The stops, the route, and the button are fantastic. 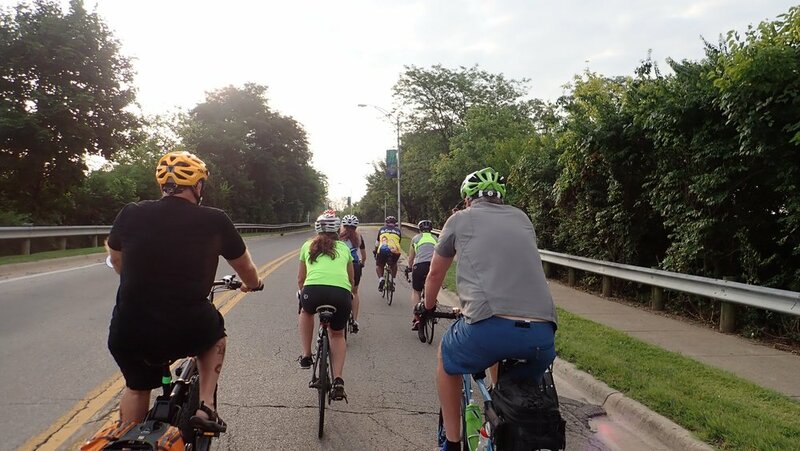 This month, ride leader David Curran leads us through a "Then and Now" of how we view alcohol as a community, by exploring two stops on our 15-mile ride through Westerville—the birthplace of the prohibition movement! Stop #1: Buckeye Brewcraft in Westerville is your best choice for a local home brew supply store. They stock equipment and ingredients to make your own beer, wine, cider, cheese and more at home. They also offer classes and workshops on various subjects and skill levels, from Intro to Brewing and Intro to Wine Making classes, to Yeast Harvesting/Ranching. Stop #2: Anti Saloon League Museum. From 1893 to 1933, the Anti-Saloon League was a major force in American politics. Influencing the United States through lobbying and the printed word, it turned a moral crusade against the manufacture, sale and consumption of alcohol into the Prohibition Amendment to the United States Constitution. This museum is based on a large collection of Anti-Saloon League documents and artifacts, bequeathed to the Westerville Public Library. This month, ride leader Mark Spurgeon brings you the theme HEARTWARMING! Cinnamon, cardamom, ginger, nutmeg and garlic. Have you ever wondered why these fragrant spices feature prominently in holiday baking? They're extremely warming and beneficial to your body in the midst of winter. Our stop on this ride is the Ohio Herb Education Center, located in the Nafzger-Miller in Gahanna—declared the Herb Capital of Ohio in 1972. The Nafzger-Miller house is listed in the National Register of Historical Places with the original structure being built in 1855, and additions made to the home in 1910. Watch for a special appearance by a certain jolly old elf. This month, ride leader Cassie Patterson will give us a taste of folklore in Columbus. What’s folklore, you ask? Folklore is everyday culture—practices that we often take for granted even though they are central to who we are. The American Folklore Society defines folk traditions as “the things that people traditionally believe (planting practices, family traditions, and other elements of worldview), do (dance, make music, sew clothing), know (how to build an irrigation dam, how to nurse an ailment, how to prepare barbecue), make (architecture, art, craft), and say (personal experience stories, riddles, song lyrics)." Through this ride, we will come to appreciate some of the unique folk traditions of our city! Check out our draft route!